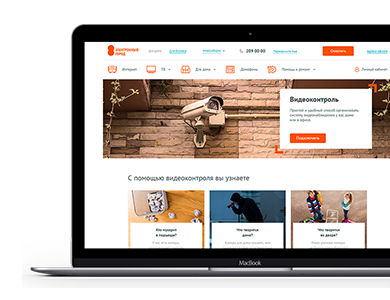 Elektronnyi Gorod is a brand of the internet service provider Novotelecom and one of the leading Internet and TV providers in the Novosibirsk Region, Russian Federation. To provide quick access for clients to their private accounts through mobile devices, Novotelecom decided to develop a “Private account” app and turned to Azoft for the mobile development. The app is implemented on the base of iOS and Android. Using the app users get access to the most relevant information about the account balance and can look through plans and services of the company. The app also provides users with abilities to top up an account, change their internet and TV plan, enable or disable particular services, and ask questions from representatives of Elektronnyi gorod via a live chat. The resulting solution interconnects with Novotelecom services using HTTPS as a transport protocol and REST XML API as an interface for interaction between an app and a web-server. Using Pooshwoosh service, the app supports sending push-notifications. The app contains a tool for analyzing user actions – Flurry. The app is integrated with Livetex platform for maintaining an online chat with representatives of the company. Because the widget has unique requirements, we couldn't develop it in a traditional way. During the development process, we decided to adapt the widget to the different sizes of the cells on the screen in portrait and landscape orientation. In order to overcome the limitations of displaying the widget and make it suitable for any mobile device screen, we had to create separate layouts for several resolutions. As a result, we got the desirable widget view for all the Android devices. The client received a high-quality multifunctional solution in accordance with their requirements. Tens of thousands of users, customers of Elektronnyi Gorod continue to use it regularly.